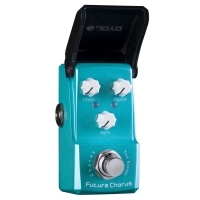 A big Chorus in a small box! 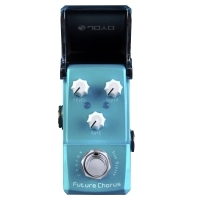 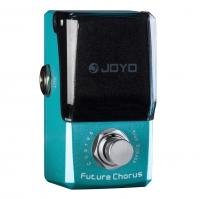 The Joyo JF-316 Future Chorus is an award-winning chorus pedal effect and one of Joyo's most sold pedals from the Joyo Ironman Mini Series. 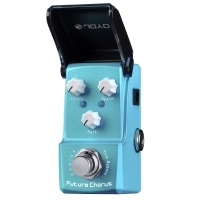 With only 220 grams and dimensions of 43 x 73 x 50 mm the Future Chorus fits any pedalboard. 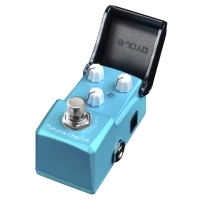 It delivers a transparent and wide sound for many purposes and gives your tone substantively more depth. 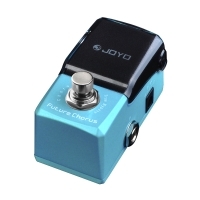 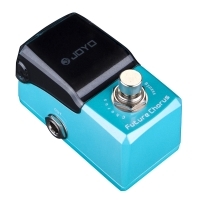 The Joyo JF-316 Future Chorus works also on bass and acoustic guitars.